I’m usually telling you about amazing indigenous Italian whites, but this time my recommendation is for an International-style white. A no-brainer dinner party wine that’s on sale. 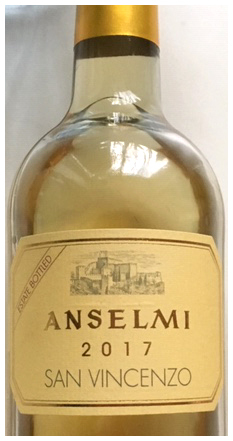 Anselmi is an innovative winemaker in the Soave region, and his San Vincenzo is a blend of the traditional Garganega grape, Chardonnay and Sauvignon. A great formula for crafting an ideal mid-range white. Aperitif, fish or white meat. Cannot go wrong wine.